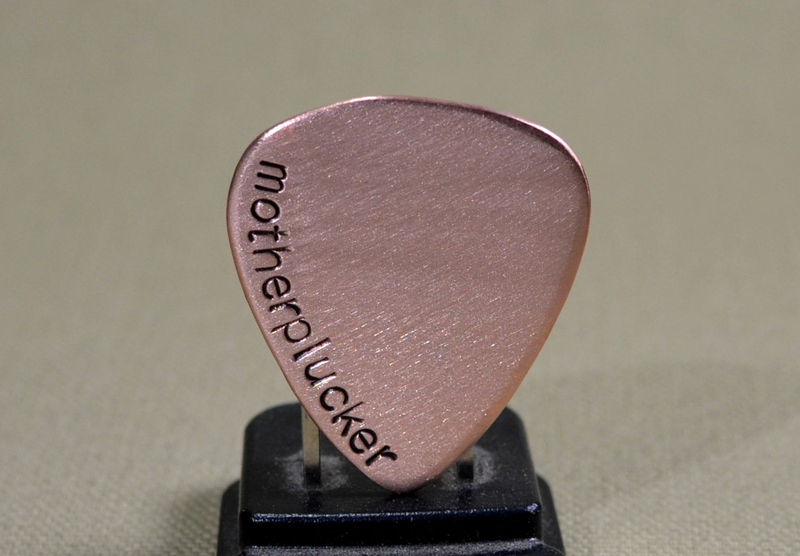 Having taken Etsy by storm in late 2011 with our guitar picks, we decided it was time to create a website dedicated to just our metal guitar picks. Trying to work this project in during the height our busiest season is proving to be quite a challenge, but we are making progress. Etsy helped to temporarily quell my frustrations on this Black Friday by delivering a barrage of almost non-stop holiday orders. It is ironic how we wait all year for this moment and then once the holiday madness arrives, we can't wait for it to end. Anyway, our new site as been launched and is currently in the beta phase. We have about 300 more listings to edit, add some policies, and an "about" section before roll out next week. Our hope is by next Friday, Nici's Picks will be fully live and ready. While the same picks are listed on our Etsy shop and on our own site Niciart we have yet to really make headway into Wanelo and Pinterest in terms of offering products that can be purchased through the "but it now" option. Having already listed 60 guitar picks today, I must admit, I really miss those picks. Not only were they fun to produce, but some of those classics like Wanna Pluck or Motherplucker made for a good laugh. Thinking back at this journey that started in a tiny one bedroom apartment in Scottsdale, AZ with a jewelry saw, some scrap metal, and an old printer is a reminder of just how far we have come while tugging at the heart with a wee bit of nostalgia, I will have to admit. In the beginning of starting our own business, everything felt so magical, fun, and without a thought of the consequences, we could just work on whim and somehow every would come together in the end. I think moving forward into 2016 and taking steps to become more independent of Etsy to fully establish our own brand will bring back some of that initial excitement and creativity. Nici and I are feeling quite optimistic about the opportunities that will come in 2016. Anyway, I guess at this point we really don't have many followers on our blog, but if you are out there, check out Nici's Picks.